Located in coastal Orange County, it’s the ideal setting to live, work or study! UCI’s location offers the cultural, recreational, and economic resources of a major urban area while providing direct access to some of the most scenic parts of Southern California. Located four miles from the Pacific Ocean and 50 miles south of Los Angeles, the University is nestled in 1,500 acres of coastal foothills near Newport Beach. The temperate Mediterranean climate stimulates outdoor activities year-round. One hour south of LA and one hour north of San Diego. Home to thousands of multinational businesses in a variety of industries — pharmaceutical, computer, electronics, manufacturing, biotechnology/medicine, design, automotive, and communications. Ranks as the “Safest Big City in America” by the FBI for the past 12 consecutive years. Orange County sports teams: Angels (baseball) and Ducks (hockey). Beach and ocean sports (including UCI Sailing Club). Local skiing less than 2 hours away, Mammoth Mountain 5 hours. Offers 5,200 acres of open space preservation, 44 miles of bike trails, 55 community parks, wildlife sanctuaries, and ecological reserves. Restaurants of all kinds in Irvine and the OC. Shopping center with restaurants and brewpub next to campus. Active nightlife in nearby Newport Beach, Corona Del Mar, Laguna Beach, Huntington Beach. Major shopping malls: South Coast Plaza, Irvine Spectrum, Newport Fashion Island, The District in Tustin. Orange County Performing Arts center for theater, dance and music. Verizon Amphitheater for outdoor concerts. The University of California, Irvine (UCI) is among the newest of the ten campuses of the University of California, one of the world’s largest and most prestigious institutions of higher education. All campuses adhere to the same high academic standard, yet each has its own distinct character. UCI is a science-oriented campus with more than 50 high-quality graduate programs. Since the campus opened in 1965, enrollment has grown to over 27,000 including 22,004 undergraduates and 5,185 graduate/professional students. Despite being less than 50 years old, UCI is among the leading research universities in the United States. During fiscal year 2008-2009, UCI received $318 million in grants from federal, state, and private agencies, organizations and corporations. This high level of research activity is a critical component of the educational process, particularly at the graduate level, and many UCI faculty members have achieved national and international recognition for their work. A significant amount of recent growth on campus has been devoted to the sciences. This is evidenced by the recent completion of a 240,000 sq. ft. Biological Sciences research facility, a new Science Library and the Gillespie Neurosciences Institute in the Center for the Health Sciences in the School of Medicine. Sprague Hall and Hewitt Hall in the School of Medicine house the Cancer Research Institute, the Institute for Immunology, the Center for Molecular and Mitochondrial Medicine and Genetics, and the Pacific Southwest Regional Center of Excellence. A new building housing the Sue and Bill Gross Stem Cell Research Center opened in 2010. Natural Sciences Buildings I & II in the School of Biological Sciences and Biological Sciences Building III provide additional research and teaching facilities to the School of Biological Sciences. Ongoing growth and expansion augment state-of-the-art research technologies that are available to all members of the scientific community at UCI. The campus occupies 1,500 acres located approximately four miles from the Pacific Ocean and approximately 50 miles south of Los Angeles and 70 miles north of San Diego. This picturesque Southern California location positions UCI close to six other major universities and dozens of innovative biotechnology companies. 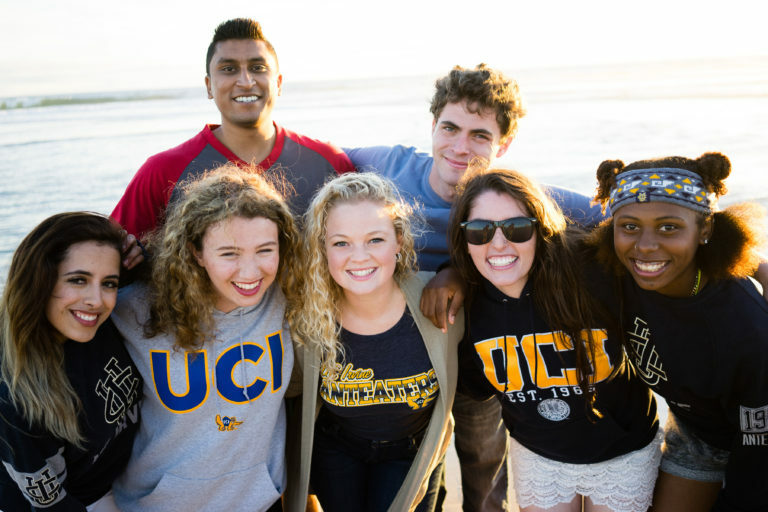 The UCI community is composed of a culturally and ethnically diverse population of students and faculty. This is evidenced by a wide range of unique cultural activities, clubs, and organizations. We are committed to maintaining this international atmosphere, and we encourage applications from minorities and women.